Could you or your loved one be suffering from bipolar disorder? Though this condition used to be thought of as a rare condition, it is growing in prominence today. This may be due to better understanding of the condition and its symptoms, and therefore better understanding of our need to help those struggling with these types of symptoms. It is important to recognize signs of bipolar disorder so that you can properly get the help you need. Whether you have a child, teen, or adult in your life or you yourself may be suffering from this type of mental health problem, it is important to seek out help. To understand whether someone may have this condition, it is important to understand the different types of conditions and the levels, as well as the symptoms that apply to each of these situations. Bipolar 1 disorder: Here, individuals will have had one manic episode. This includes symptoms that impair your life and may require hospitalization or may have created a break from reality. 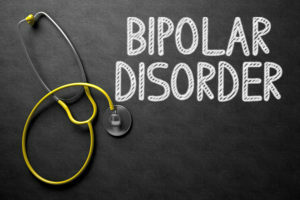 Bipolar 2 disorder: In this situation, individuals have had at least one major depressive episode that lasts at least two weeks as well as one hypomanic episode that lasts at least four days. Individuals here have not necessarily had a manic episode. Cyclothymic disorder: In this situation, individuals have had at least two years of numerous instances of hypomania symptoms and periods of depressive symptoms. Other types: There are other symptoms that can occur. This may include other medical conditions associated with them such as strokes, Cushing’s disease, or multiple sclerosis. Periods of time when you are abnormally and persistently elevated in mood. This could be a very good mood or a very irritable mood. If you have had any of these symptoms, seek out the help of a psychotherapist as soon as possible. It is important to react quickly to these types of situations. Call our New York offices to make an appointment with our doctor today to learn more about your condition and any treatment options available to you.